I am writing with an update on the recruitment of the part-time Organiser. The role was proposed by the Branch Committee and overwhelmingly supported by branch members who voted by a majority of 79% for increased resources to aid the work of the branch. To fund this, all members on full-time subscriptions will pay an extra £1 per month from September 2015. 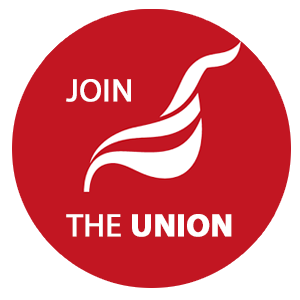 The Organiser will help strengthen the union within existing workplaces working with elected representatives, and will develop union organisation at new workplaces to further build the branch. Much of this work will focus on developing largely self-sufficient activists schooled in the organising and mobilising approach. I was part of the recruitment panel along with Erkan Ersoy, (Unite Senior Organiser) and Petrine Picard, (Senior Assistant to Unite Regional Secretary Peter Kavanagh). We were lucky to have a field of five strong candidates, and designed a rigorous selection process to help us select a successful candidate. This involved a role play designed to assess communication skills, a presentation on how all the candidates would run a workplace campaign, and interview questions that explored the candidates’ experience of organising and mobilising. The calibre of the candidates was very good and I would like to take this opportunity to thank them all again for applying. As a result of the process, we were able to offer the position to Arti Dillon who had demonstrated an in-depth understanding of the role, and was able to show that she would bring considerable mobilising and organising experience to the post. This means that our new Organiser will hit the ground running. Arti currently also works one day a week administrating branch meetings and branch committees at the LE1111 branch. I am pleased to say that she will continue to undertake this essential administrative work on our behalf. The Branch Committee is now set to undertake a series of planning meetings through which we will develop our strategy for the next three years taking account of our improved resources as well as the many changes we see within the sector. We appreciate the support given to the Branch Committee by our branch members who have engaged with our plans and helped improve and develop them. We are also especially grateful that members have endorsed continuation of the campaigning approach that has helped us achieve so much over the last three years. We look forward to working together across the branch, and to another three years of success.